This photograph shows the beautiful white house in the foreground - La Vigie - which you saw yesterday. It stands on the promontory called Pointe de la Vieille. 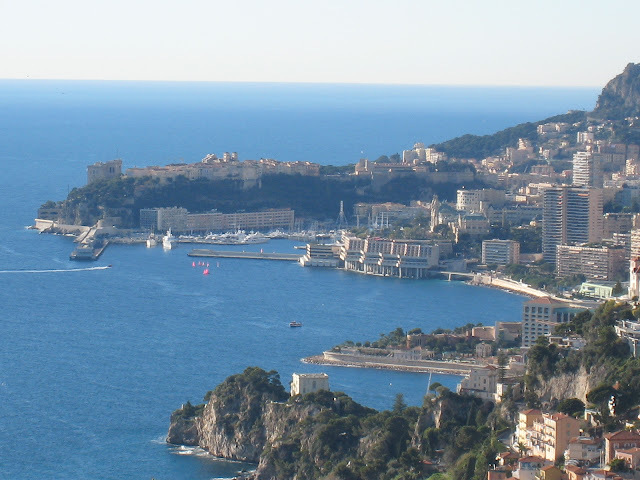 This is the boundary between Monaco and Roquebrune-cap-Martin. You can read more in yesterday's post. I still cant get over the view, wonderful. So many of your photos are taken from such high places...beautiful! This photo really puts the location of La Vigie in perspective. I can see why Mr. L wanted to live there. Wow, what a view! Wish I am there now!